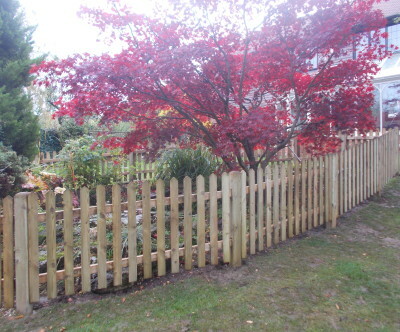 In this project we took down the customers existing fence and installed a new Lap Larch Panel fence. 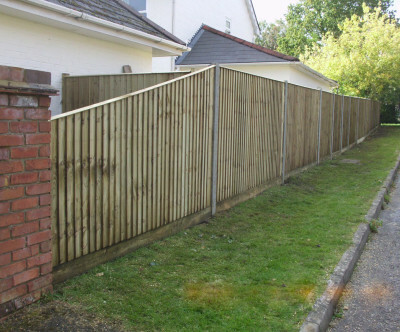 Our new fence is much more sturdy than their previous one. 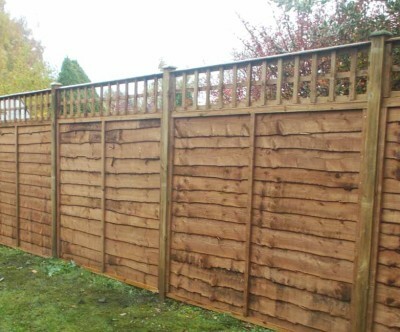 We also installed a one foot tall trellis to the top of the fence for added privacy and security.